Advisors spend their careers guiding clients into retirement, but often overlook their own. Great Valley Advisor Group (GVA) has helped, and continues to assist advisors create a plans for the most comprehensive “exit strategy.” Through this program, we have enabled our advisors to transition their business with the goal of not compromising their client relationships. An advisor can manage their business until they decide they are ready to move into retirement and GVA will strive to find the perfect fit for that book of business. GVA responsibilities include working out a customized transition plan and contract with the advisor over the last couple years of their career, and assist with moving their clients to another advisor based on a negotiated buyout plan. 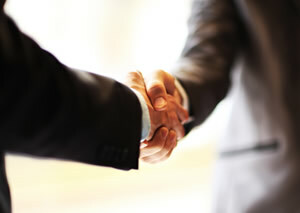 A strong partnership with GVA helps you build equity and a viable solution should you need it. As with the initial transition of your book, GVA will focus on streamlining the transition process, and help find the perfect fit within our network. You’ve invested time and energy in building your practice. Isn’t it time to protect it? One of the biggest concerns with going independent is the transition process. At Great Valley Advisor Group (GVA), we understand that change can be difficult, and have built a dedicated transitions team, led by James J. Spinelli, MSIS, to ensure you efficiently move your clients over in a timely matter.